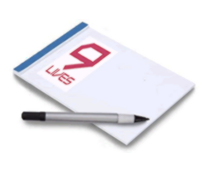 ​In connection with the recruitment process, 9Lives or relevant associated entity collects and processes as data controller certain personal data about the applicants and potential employees. Personnel administrative information, such as education and qualifications, courses, competence profile, job wishes, employment, trusts. Criminal records, child certificates and safety approval information. To ensure necessary and relevant information in relation to the recruitment process, including evaluation of the candidate. Implementation and maintenance of technical and organisational security measures, including but not limited to prevent unauthorised access to systems and information, prevent receipt or distribution of malicious code, termination of denial-of-service-attacks and damage to computer systems and electronical communication systems. o Management of disputes with data subjects and third parties. The legal basis for processing of general and sensitive personal data as outlined above is the potential employment contract. The legal basis for processing potential personality tests is consent. When we collect personal information directly from you for the recruitment, it is necessary in order for us to enter into a contract with you. You are not obligated to provide the personal information to us. If you do not provide us with the personal information described above, you will not be able to be employed with 9Lives. If the processing is based on a consent you have a right to withdraw such consent, which means that the information can no longer be processed by 9Lives, unless the processing can be based on another legal basis. The withdrawal of the consent, will not affect the processing already incurred prior to withdrawal of the consent. We transfer your personal data to certain suppliers, e.g. IT suppliers, who process the information on behalf of 9Lives. We do not transfer your data to recipients in countries outside EU/EEA. We retain your personal data as long as necessary in order to fulfill the above stated purpose. Personal data related to a recruitment process will be deleted after 6 months, unless you consent to prolong the retention period. If you are employed, a different retention period will apply, however personal data will not be retained longer than 5 years after resignation unless there are other requirements in applicable legislation, such as the bookkeeping act. You have – with the limitations of the legislation – among other things right to access in personal data, right to rectify incorrect information, right to deletion of information, right to limit information, right to data portability and right to object to the processing of personal data, including automated, individual decisions. 9Lives, as a data controller, has a duty to protect the personal data we process about our employees. You can read more about the framework for processing personal data in 9Lives's Personal Data Protection Policy and Information Security Policy. We also refer to 9Lives's Personal Data Protection Policy, as well as related policies and procedures.